Over the last six weeks (since 1st December 2016) the Pinner area has suffered from a series of burglaries – 24 in total! The ethnicity of the burglary victims vary, however many of the victims are of Asian descent because criminals are aware of the quality and value that Asian gold possesses. Other expensive property e.g. designer watches, currency and vehicles are also being taken. The timeframe for the burglaries vary, however it is likely that the majority of them have occurred after dark. On two occasions a house has been burgled minutes after the victim/s have left the house in the evening. 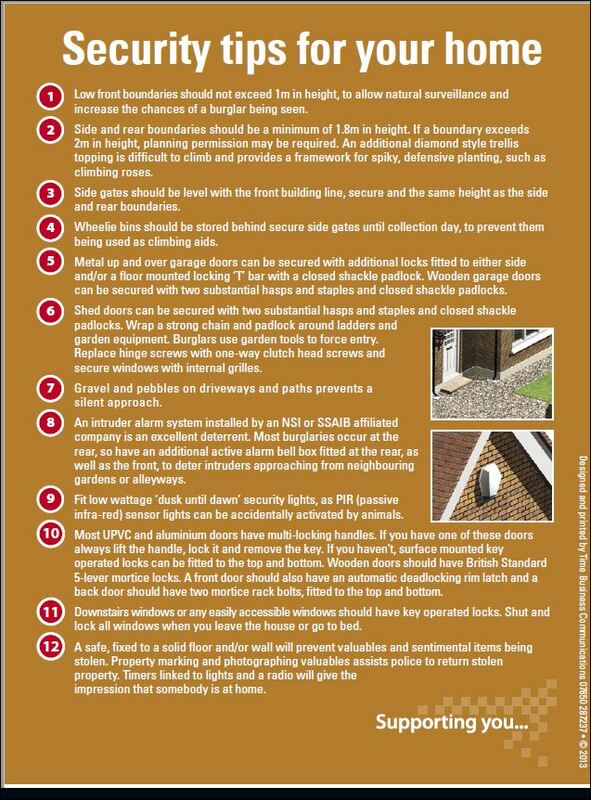 To access the rear of a property burglars are walking through unlocked or insufficiently secured side gates, or using wheelie bins or other available elevated footholds to climb onto and over low-level garage roofs and side gates. You can reduce the chances of your home being burgled by assessing your home security and proactively addressing any security vulnerabilities it may have. You are the eyes and ears of your road and immediate neighbourhood and with your assistance, vigilance and information we can reduce burglary across the Pinner area. If you observe any suspicious activity, be it from a vehicle or person/s please call the non-emergency 101 or emergency 999 number.